Here you will find the list of people who specialize in different areas of the healing field around the world. All of us have different gifts to share with this world and this page is for a quick access to the healers or alternative therapists whom you would like to connect to. All of the Reiki Masters and Teachers are highly skilled and competent in their chosen field. and being shown the start of their path to self development. Pamela is also a yoga teacher which increases her awareness of body movement and physical therapy. Using this knowledge she has started a project to document the energy movements through the body during yoga asana. As an extension of this Pamela is teaching courses in meditation. Pamela is now located in Indianapolis, USA. Crystal healing, Aura reading , Psychometry. AVAILABLE for Sessions in Singapore. Victor is currently undertaking professional personal trainer course and lifestyle and weight management coach program. Soon he will be taking ACE Personal Trainer Certification exam which is one of the world’s most famous and accredited personal trainer certificates. After getting this certificate, he will also be scheduled for ACE Lifestyle & Weight Management Coach Certification exam later in the year to become recognized as a professional in the field. Victor is also recognized as Siam Reiki Master and has taken courses in different fields related to energy and holistic healings. This include Crystal Healing, Psychometry, Pendulum Diagnosis, How to See Aura, Qigong, Psychic Meditation, Best Digest Neuro-Training and Transcending Entities. He is applying skills on different methods that he learnt from fitness, nutrition, and energy healing to his unique integrated healing methods. With her extensive experiences in energy work , sam has been a pillar of support for healing work for people as well as for the earth. Her sensitivity to the needs of others in their healing path and her abilities in identifying their blockages and traumas in life that blocks their progress makes sam a very valuable member of the light workers team. She is available to teach Reiki classes and give reiki sessions. Crystal healing, Aura reading, Psychometry. AVAILABLE for Sessions by Appointment. Paul has been immersed in the world of personal growth and healing since his first “Psychic Development Course” back in 1988. His experiences include The Forum, Overtone Chanting with Jill Purce, Tarot Card reading, Crystal Healing, Clinical Hypnotherapy (certified DCH in 2008) and finally Reiki which he has found to be the most transformative and beneficial to his own healing and personal development. Paul Completed his Reiki Master Teacher Course in May 2014 . He specializes in resolving emotional issues, past-life blockages and ‘foreign energy’ removal including black magic, entities, extra-terrestrial influences and implants. Paul is a professional member in a space clearing team which works to remove negative energies from places of work and homes. Paul has completed many supplementary Reiki courses namely:- Psychometry, How to read the Aura, Developing Psychic Awareness (DPA), Crystal Healing, Pendulum Diagnosis, Transcending Entities and Transmutations and Intuitive Awareness with Cards (Tarot Card reading). Divides life between Spain and Thailand. Languages spoken:​ French, Spanish, English. Other occupation: Ikebana teacher for 22 years. ​(founded her own school in Spain before moving to Thailand after her husband’s retirement). Practices REIKI in Spain with her Spiritual Partner (Eneko), where they share a REIKI Studio in San Sebastian, just 20 minutes’ drive from France. Practices REIKI in Spain with her Spiritual Partner (Carmen), where they share a REIKI Studio in San Sebastian, just 20 minutes’ drive from France. offering her services to those seeking peace, balance and joy within their lives. daily medication for hypothyroid by combining Reiki and EFT*. from London University and is currently enrolled in Keele University’s Post- Graduate Certificate in Education program to qualify as a primary school teacher. She is conversant in English, Cantonese, Thai, French and German. Inspired by gratitude towards her many teachers and all those who have helped her through life (including allopathic doctors! ), she has decided to dedicate hers to the service of others through teaching and therapy. Jane Cabourn is a Certified Reiki Master and Qualified Nutritional Therapist. 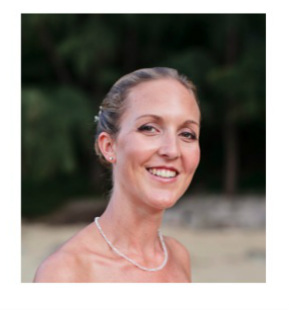 Jane is able to combine energy healing with nutritional advice, and lifestyle management. She also has a medical background as a qualified nurse. She is certified in Crystal Healing, Pendulum Diagnosis, Psyche Development, Transcending Entities/Space clearing, Psychometry, along with the ACE’s lifestyle and weight management course. Many of Jane’s clients have benefited from healing of physical ailments and release from chronic pain. ​Tomas was borne in 1984 in Czech republic. At the age of 16 he started having health issues which he struggled to understand and heal. In 2007, he moved to asia and started working in the advertising industry. From then on, his health was gradually getting worst. It led him on his path to study the healing of all his 4 bodies systems (physical, emotional, mental and spiritual) in an effort to desperately try and find the cause of his illness. He found the answers to his questions by taking up numerous studies in Nutrition, macrobiotics, alternative medicine, fitness, yoga, massage, tarot cards and reiki. He is Now a Reiki Master and is also certified in Crystal Healing, Psychometry, Psychic Awareness course , Aura Vision course. He now helps others find their own inner peace and healing through channelling Reiki. Emma began her holistic healing journey back in 2005 where she was willing to try any ‘alternative’ based therapies in an attempt to regain her health. What began as a personal search for self-healing turned into a passion for learning and understanding what holistic therapies have to offer and how they can help a person heal. Emma believes it is possible to awaken your ‘inner healer’ and experience true self-transformation so you can live a life of vibrant health emotionally, physically, mentally and spiritually. 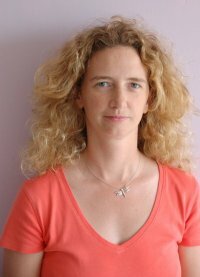 Emma is an Energy Therapist and practices a range of healing techniques here in Bangkok, specializing in Reiki and Crystal treatments. She is a certified Reiki Master and has studied in both Dubai and Bangkok completing courses in Crystal Healing, Pendulum Diagnosis, Psychic Development, Psychometry, Transcending Entities/Space Clearing, Five Energy Massage, Indian Head Massage and Theta Healing. Emma also loves to practice meditation regularly and hopes to explore offering a range of guided meditations in the future. Neiha is a Certified Reiki Master and has completed Psychometry, Psychic Awareness course and Crystal healing workshop. She has been beautifying many faces with her specialised expertise in makeup artistry as well. Her journey in meditation and inner healing has given her many skills in working with other's physical, emotional , mental and spiritual sides. She is Available for sessions mainly for Woman. 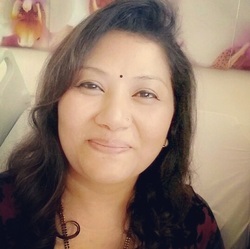 Mohana Kanah is a Certified Reiki Master/Teacher, Spiritual Counselor and Angel Artist, practicing energy healing techniques in Bangkok, Thailand. She is certified in Psychic Development, Group Master in Transcending Entities /Space clearing and Psychometry, Pendulum Diagnosis, Crystal healing course and have completed The How to Train the Teachers Courses and has been on her spiritual path for over 17 years. Mohana has participated in the Shamballa Ascension Course/Initiations and is named SRI Shaktiji. Her energy work is complimented with the usage of Herbs, alternative medicines, Ascended Master spoken decrees and powerful meditation techniques. ( kriya yoga). She has taught classes in Thailand, Singapore , China, Vietnam and Cambodia over the last 5 years. ( Development of Psychic Awareness ), Aura Vision Course, Pendulum Workshops, Crystal Healing workshops, Psychometry workshops, Planetary Transformation and Space clearing course to new students as well as to Teachers from other Institutes and Modalities. Her healing work spreads over a wide scope in Healing the Earth, Children and Animals too. Her Vision is to create Freedom within shared Wisdom , to bridge the gaps from Minor to advanced Skills and Abilities in the healing industry that others may find limited or limiting in their own fields of Service to Humanity.